Connecting with others who share common experiences can greatly improve one’s well-being during challenging times. 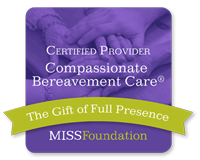 A supportive environment open to those affected by a loved one’s cancer diagnosis. The group is both educational and encouraging in nature. It provides a venue for caregivers to vent their frustrations and seek support from others in a similar situation. Anticipatory grief, intimacy issues, and other familial concerns are discussed. An initial intake session is required before attending group. Designed for people diagnosed with cancer who are in any stage of treatment. This includes people with impending surgery and those undergoing radiation and/or chemotherapy. This group provides a warm and safe environment and focuses on issues such as medical treatment, clinical trials, fear and anxiety, and familial relationships. An initial intake session is required before attending group. An initial intake session is required before attending any group. Cancer support groups are held at weSPARK Cancer Support Center in Sherman Oaks, California.